You are here:Home-Domain.com-Can Your New Business Idea Actually Turn a Profit? 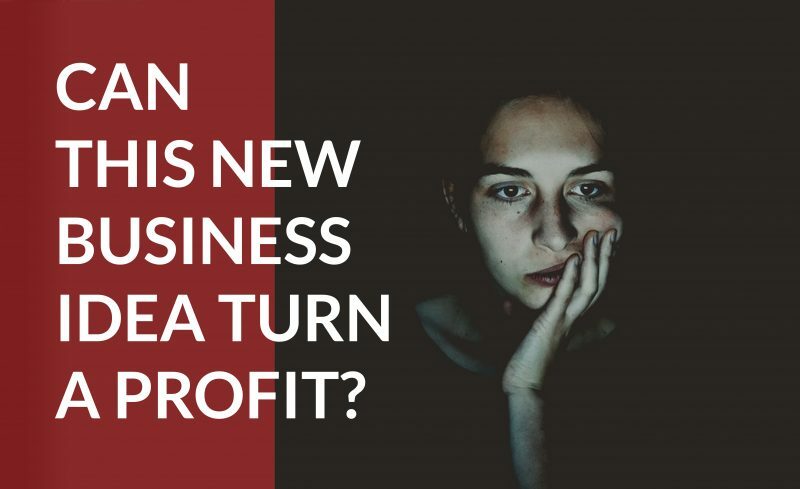 Can Your New Business Idea Actually Turn a Profit? Phase 1: Collect ideas. Step 2: ??? Step 3: Profit. This reasoning only works if you’re a mythical creature – and maybe not even then. Instead, you need to accept that turning that idea into a profitable business takes time, and careful planning. For now, don’t think about the end, or the never-ending doubt, start small so you can fail fast, find the right customers, and focus on helping those customers. Keeping your head down now can help build revenue organically, and position your business to succeed in the long term. Let’s create a plan that connects your new business idea with the customers that actually want to buy from you. Online success starts with a great domain. Find one for your side hustle at Domain.com. Standing out requires experimentation, so a good plan builds in enough flexibility to let some of those experiments fail. The key is to keep your investment small enough at the start so that one mistake, or even a few, doesn’t set you back too far. Keeping a day job and growing a side hustle lets you adapt quickly, without the pressure of needing to pay bills. Instead of trying to launch a new product to the masses right away, focus on developing your product or service for a niche. Find a way to be different than your competitors, buy a domain name, and build a website to bring your products or services into the world. Listen closely to customer feedback so you can continue to improve your products so they fit the needs of your target audience. The right products can’t help your business turn a profit if you’re not getting those products into the hands of customers. You can’t target everyone in the world, so decide who to target with your website design and marketing. Be as specific as possible. It’s likely that the ideal brand image for your business targets customers who are a lot like you. Once you have a place for your business online, start finding offline opportunities to interact with customers. Attend trade shows, or local events, that get your products into the hands of the right people. Listen to their stories, and find the problems that they’re trying to solve with a product or service like yours. Then, after the event, use your learnings to tweak your marketing strategy and website messaging to keep speaking to the people who are right for your business. When money is tight and the pressure is on to keep your business alive, it’s easy to focus only on revenue. If you only focus on attracting new customers, and sucking as much profit out of them as possible, the long term health of your business is likely to suffer. Focusing on helping your customers, and positioning using your products or services as solutions to their problems, is better for building relationships that last. Those relationships between your business and your customers are what keep your business profitable, and growing. If customers see that you only care about profit, there’s no incentive to support you. You need profit to keep your business growing, but satisfied customers return more money, which you can use to keep helping those same customers. The old maxim that it takes money to make money is still true; to grow your business, you need to invest in the right tools and the right strategies that keep you moving in the right direction. Instead of throwing money blindly down the drain, or multiple drains, testing your business idea for profitability means you can invest in the right strategy more confidently. If you don’t test, that means you’re trying to run a business with your gut. For some people that works, but you don’t want to bet your new business on luck. A successful experiment, say creating a funny or bold video campaign, lets you regroup, invest more money in the next video, and promote it more heavily. With more firepower behind your marketing, more people see your business, and the more revenue you can build. Get your new business idea into phase two and start testing its profitability with your audience. With the right plan to guide your growth, you can continue investing in your business without letting the doubt pile on your shoulders. Start small, find the right customers, and help them with their problems. It’s time to go to work. Work all night. Search for customers, hey!